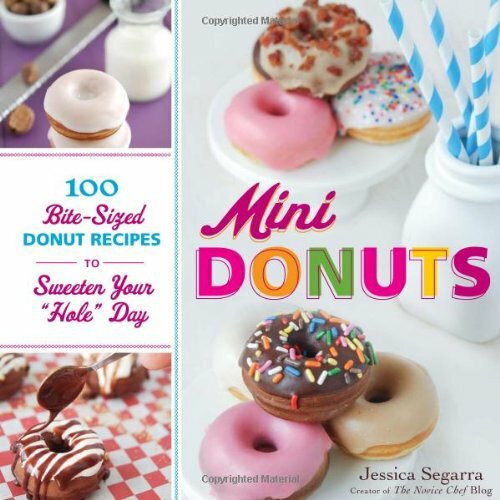 A Well-Seasoned Life: Hot Chocolate Mini Donuts or Why Can't I Stop Baking with this Cookbook? 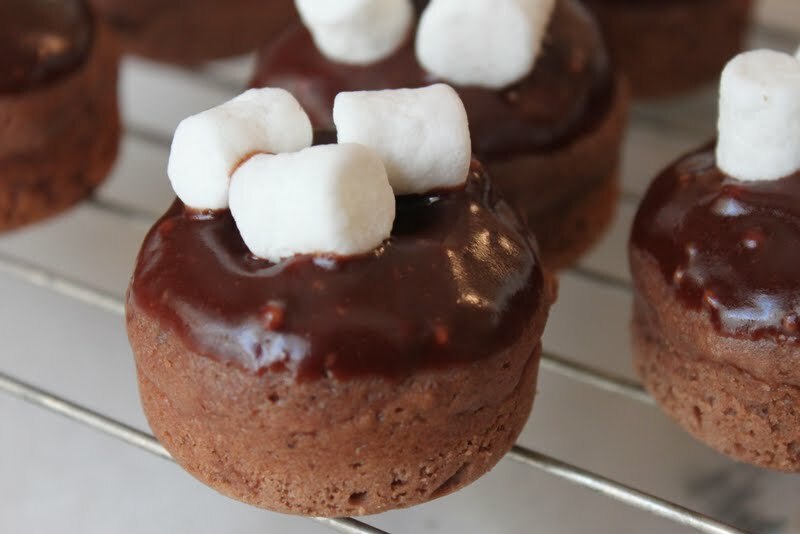 Hot Chocolate Mini Donuts or Why Can't I Stop Baking with this Cookbook? I've already baked ten recipes out of this cookbook and I can't seem to put it away. Every time I pick it up to put it in my bookcase, I flip through it and find another recipe or two that I want to try. I have one mini donut pan that I use to bake these donuts. Two pans would be nice but I'm getting by with one. I don't know how many pans that Jessica Segarra from the Novice Chef Blog has, but I think it's safe to say that it's more than one. If you're looking for the perfect Christmas gift for a foodie friend or relative, may I suggest a copy of this cookbook along with a mini donut pan? I think the book is around $11.00 on Amazon so you could get the book and the pan for around $20. I've done an official review of the cookbook which included another wonderful recipe that you can read here. Jessica was gracious enough to mention my review on her blog and to post my photo. Think "Where's Waldo?" and see if you can find me somewhere at http://www.thenovicechefblog.com/2012/10/mini-donuts/. Hee hee! The more recipes I try, the better I'm getting at making donuts. I've had to learn how my pan and oven work. I find that I have to bake them closer to the maximum time of 9 minutes. The first time I tried making donuts, I underbaked them and they were a little flat and floppy. (Is that a term you've ever used with your baking? Probably not.) So, I made the adjustment to bake them longer and you can see that I got good results. Anyway, I thought I would share one of my favorites, so far, Hot Chocolate Mini Donuts. I pretty much ate all of these by myself. But, wait, I cut the recipe in half so it wasn't so bad...really, it wasn't! If using an electric donut maker, preheat according to manufacturer's instructions. If using donut pans, preheat oven to 350 degrees and grease donut pans. In a small bowl, sift together flour, hot chocolate mix, cocoa powder, baking powder, and salt. Set aside. In a medium bowl, whisk together egg and sugar. Then add milk, oil, sour cream, and vanilla extract, mixing until thoroughly combined. Gently stir in the flour mixture, stirring until there are no lumps. If using mini-donut pans: Carefully fill each donut indentation 3/4 full. Bake for 7-9 minutes or until a toothpick inserted into a donut comes out clean. Transfer donuts to a cooling rack and let cool completely. If using an electric mini-donut maker: Carefully fill each donut indentation 3/4 full. Bake according to manufacturer's instructions of until a toothpick inserted into a donut comes out clean. Remove donuts from appliance, transfer to a cooling rack, and let cool completely. Place wax paper under a wire rack to collect any drippings for an easy cleanup. Then, in a small saucepan over medium heat, melt butter. Add milk, corn syrup, and chopped chocolate, stirring slowly to allow chocolate to melt completely. Once melted, remove from heat and whisk in powdered sugar. Immediately dip the top of each donut into the icing and transfer to a wire rack. 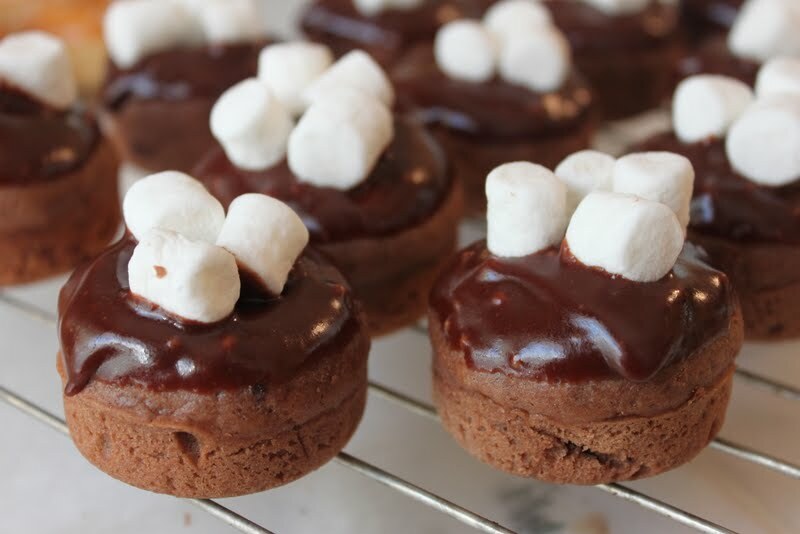 Top each donut with mini marshmallows. Let frosting set for 10 minutes and then serve. Donuts can be stored in an airtight container for up to 2 days but are best when eaten fresh. If you're as obsessed with the mini donuts as I am, leave me a comment. 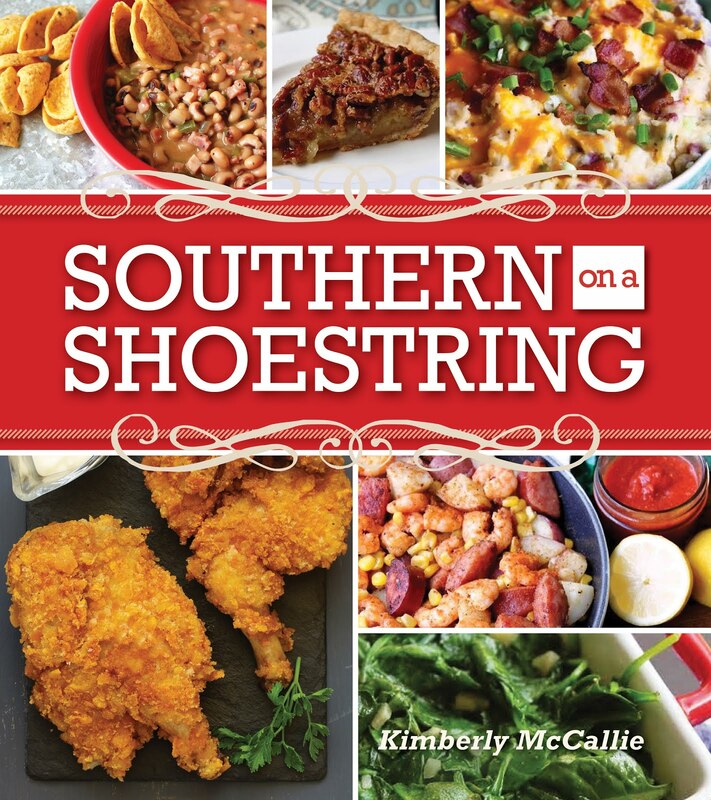 I might be willing to share another recipe from the cookbook if you twist my arm. Doughnuts are my weakness too and I'd probably make the full batch and eat them all!! How CUTE! I love doughnuts but in *mini* form? *squeals* Yum, they look delicious! Mini Cake Doughnuts from "Real Snacks"